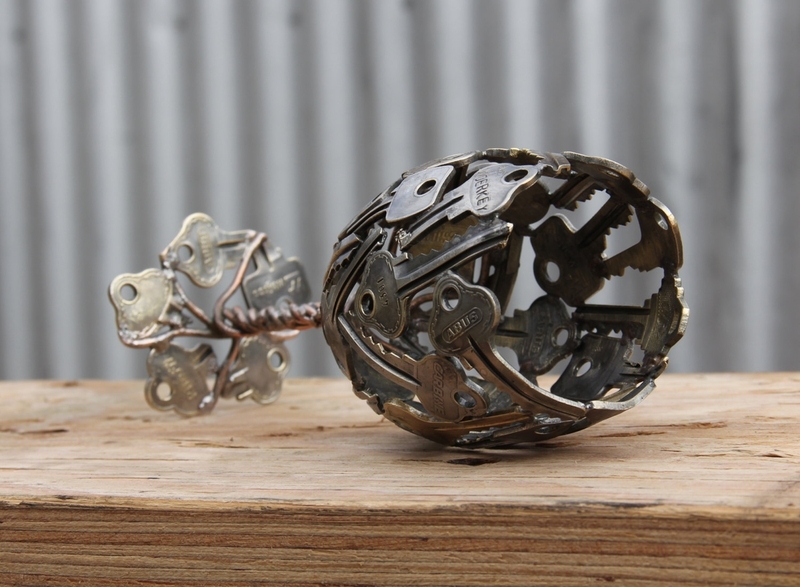 Michael Moerkerk aka (Moerkey) describes his workspace as: "small space in our garage which is jammed packed with bikes, camping gear, woodworking tools and timber and now numerous bits of old copper pipe, keys and pennies which are the raw materials from which I create these works of art". 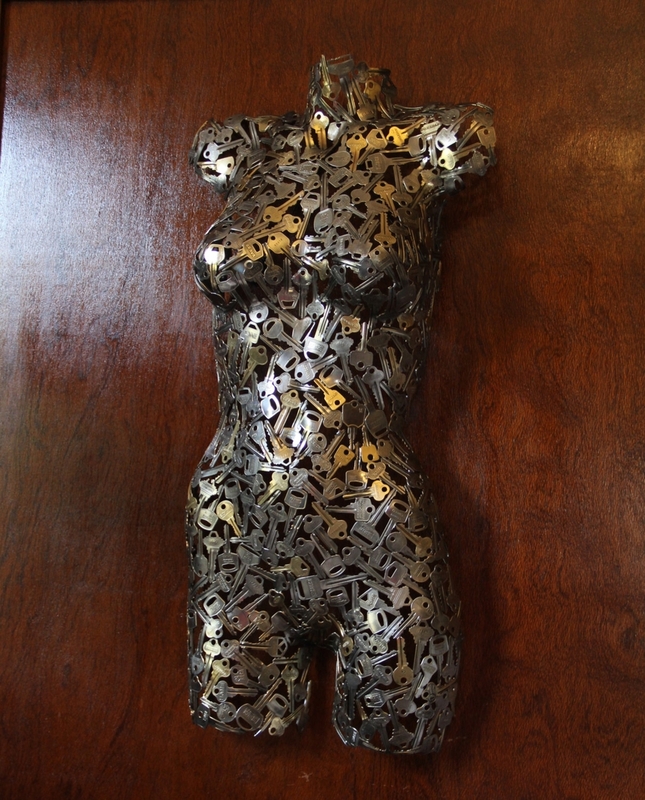 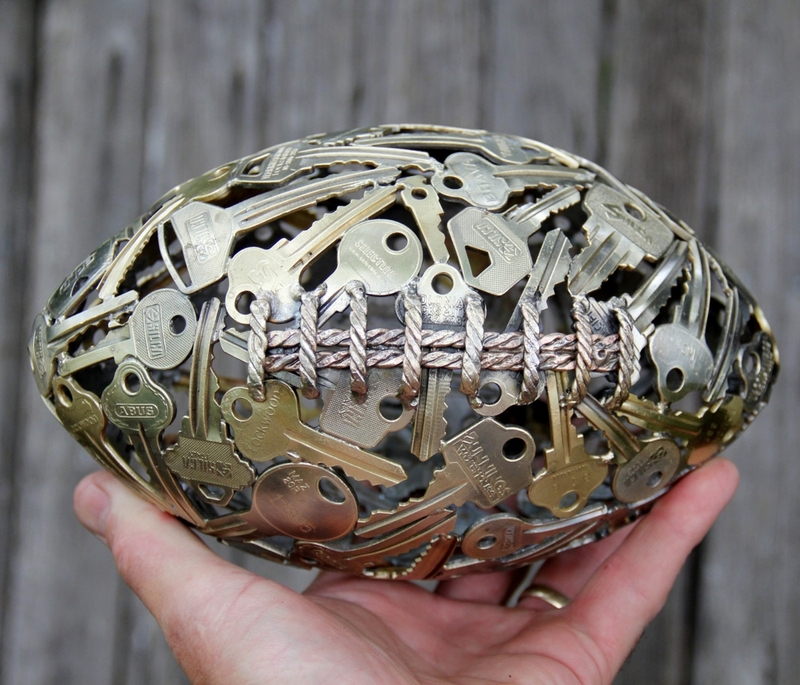 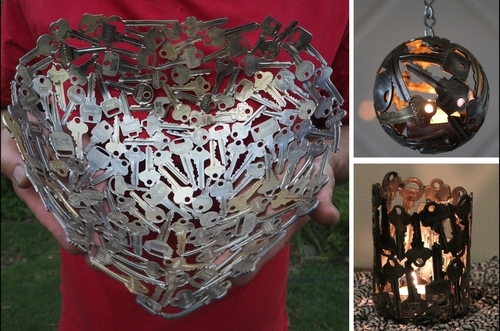 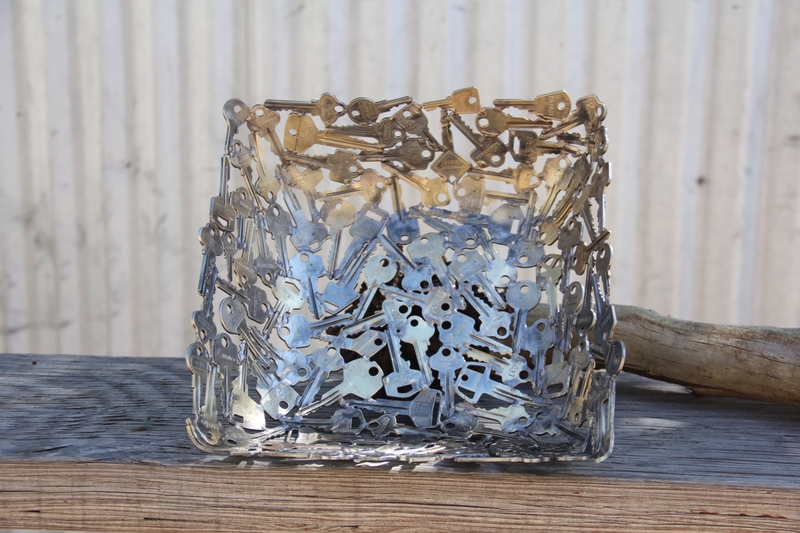 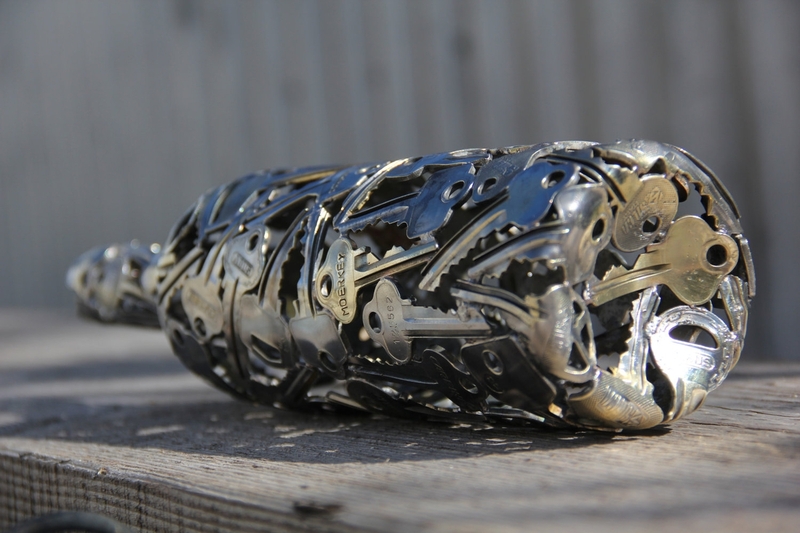 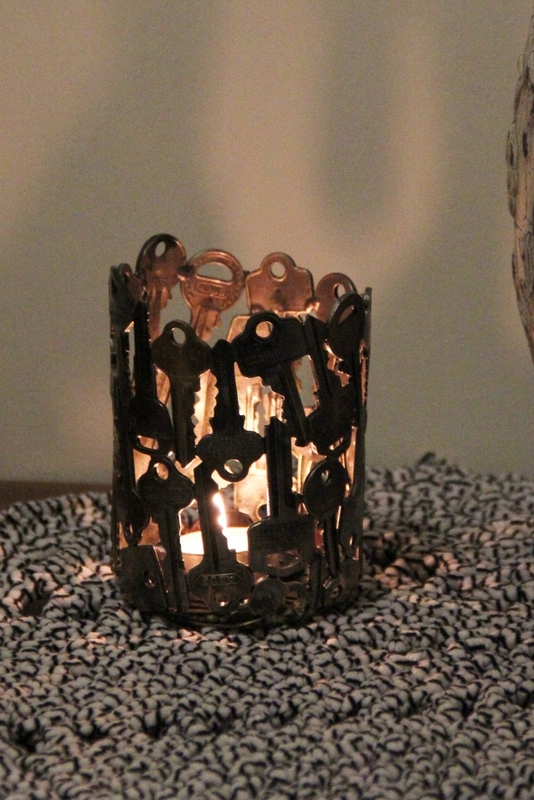 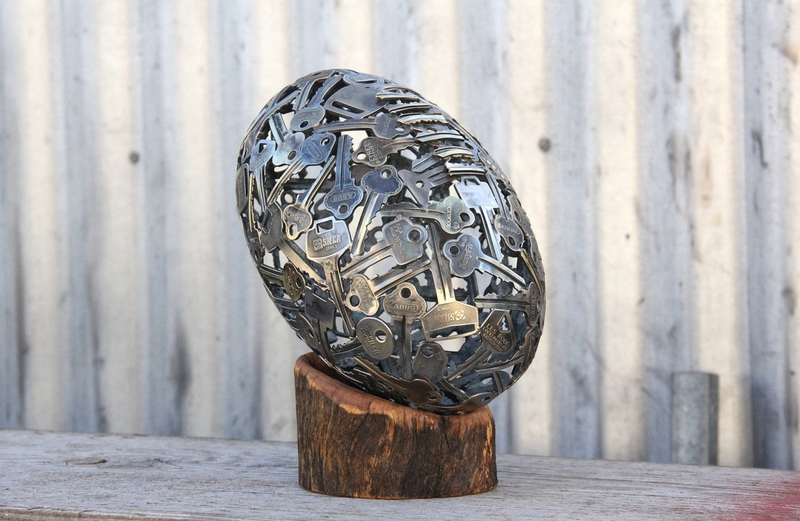 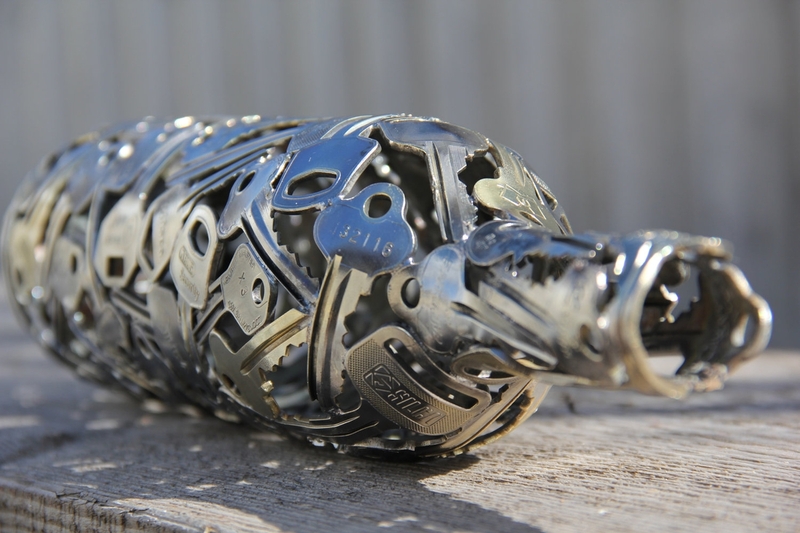 Below are some of his key sculptures for us to enjoy and be inspired by, finding a different use for items, that have reached the end of their usable life. 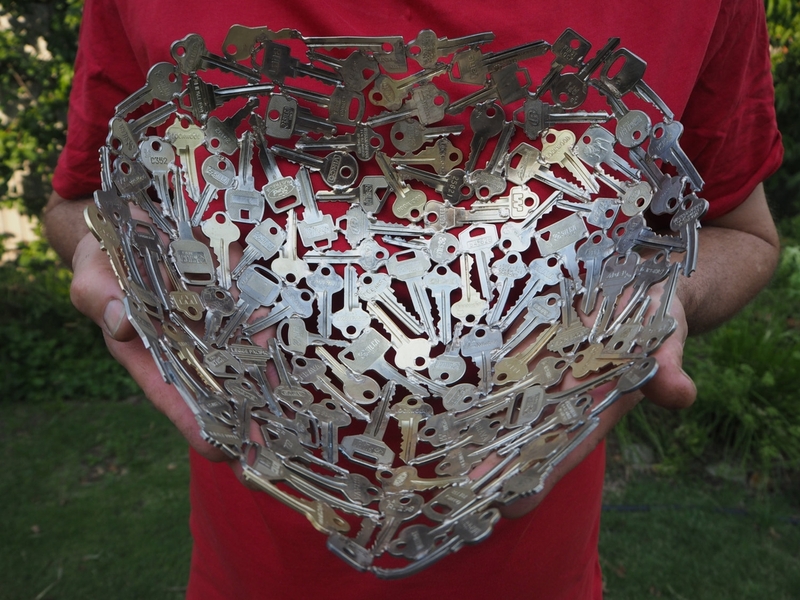 Large Heart Bowl 30 cm. 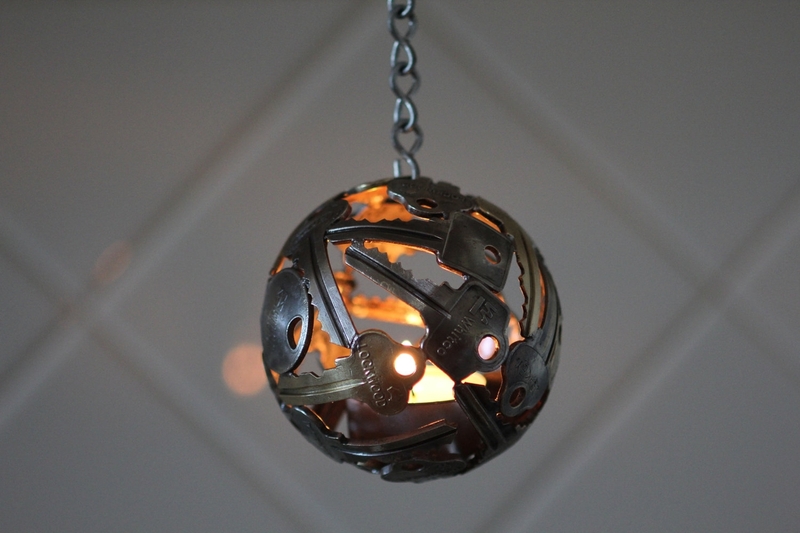 Mini Key Ball Tea Light. 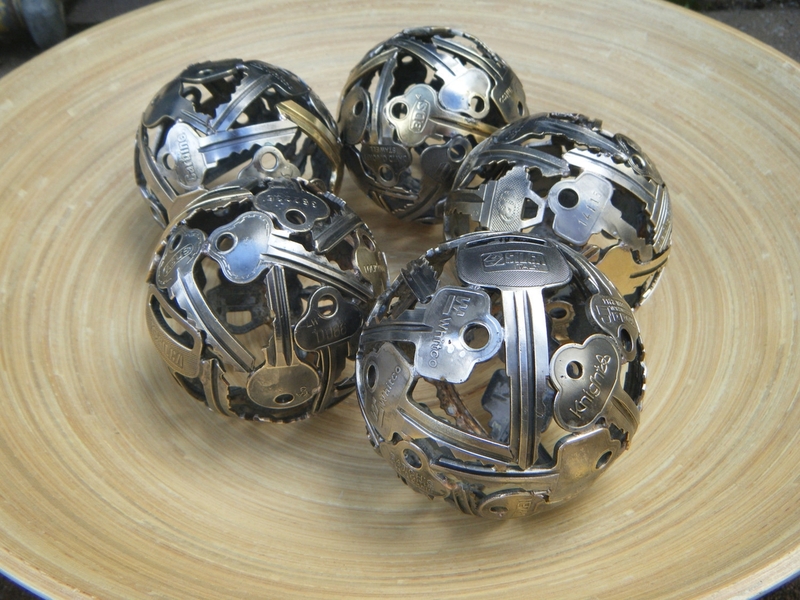 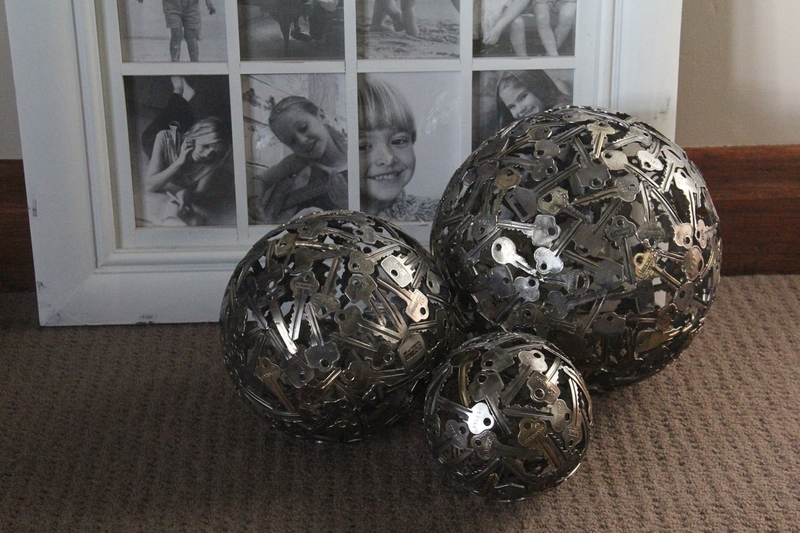 Mini 8.5 cm Key Balls. 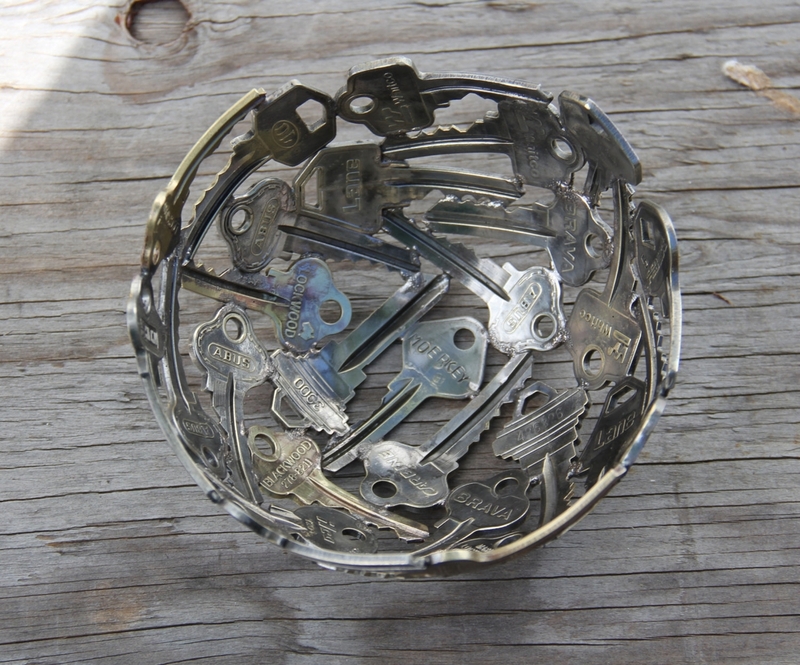 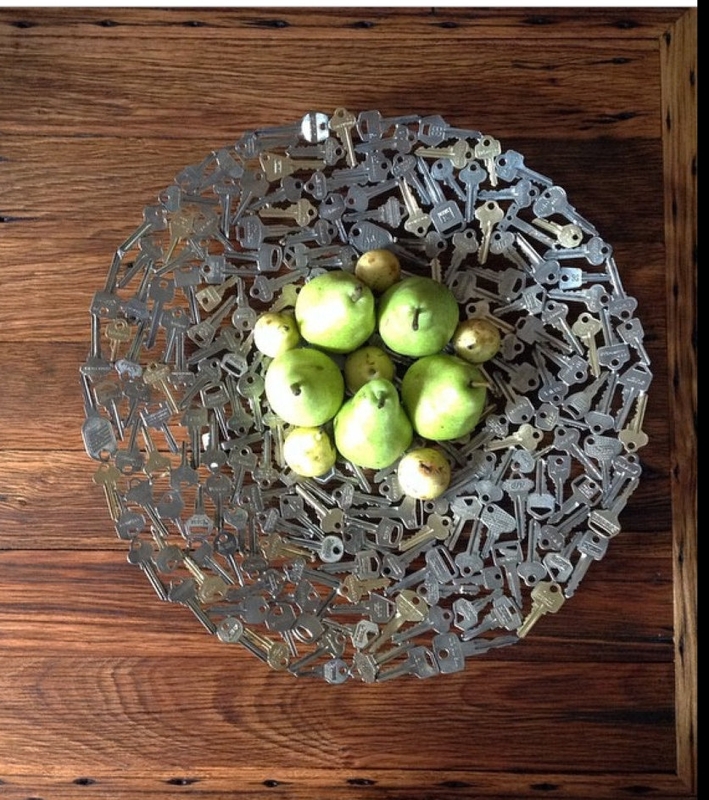 Square Key bowl 34 cm.